As I sat outside the classroom, my foot began to do a nervous tap against the floor. The voices of other parents had me glancing down the hallway, while I sat quietly in my chair, as if I was being summoned to the principal's office. At that moment, the preschool teacher greeted me from her door, inviting me inside to discuss my daughter. As I sat down for my first ever parent-teacher conference, our conversation began with familiar words -- "I know your daughter was born extremely premature." It was those words that have been woven through our journey for 3 ½ years; a reminder that prematurity will always be in the forefront of my daughter's life. When you look at my daughter, Peyton, you would never assume she was only 16 ounces at her smallest, attached to wires and tubes as she fought for her life. You would never imagine that this spitfire toddler didn't start crawling until 17 months old, or barely uttered words until 2 ½ years old. And strangers would never guess that this perfect little child is actually a triplet; her identical sister and her brother now in heaven. 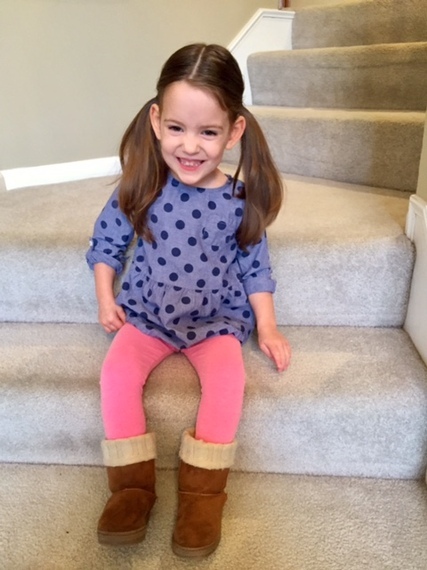 No, she doesn't look like a preemie, but born at 22 weeks gestation, she's about as preemie as you can be. The teacher began sharing pictures my daughter drew and shared stories of how well she interacts with her peers, as well as her lack of listening to the teachers (No surprise!). My eyes began to well up with tears and the teacher knew exactly why. Those words that I've heard countless times before, once again became part of the conversation. "I know your daughter was born extremely premature," the teacher said. She continued on, "She isn't supposed to be alive, yet she's doing great in school." My daughter wasn't expected to survive at birth, yet here she is, holding her own in preschool. As I shared my joy of all that my child has overcome, I had to pause to catch my composure. The teacher's eyes became glassy as we discussed Peyton's prematurity and what it's like raising a child who is a survivor. My tears continued as we talked about her future and the uncertainty of her development. While she's doing OK now, the future could be a different story. It's a common concern for many preemie parents. Will she have difficulty with tests and comprehension? Will we need to eventually hold her back in school? There are so many unknowns with our micro-preemie daughter, lingering issues we will face long after the preemie features fade on the surface. As we wrapped up our parent-teacher conference, I felt a sense of hope. For so many years, I've worked with therapists, doctors and my husband to help Peyton "catch up" to other children her age. 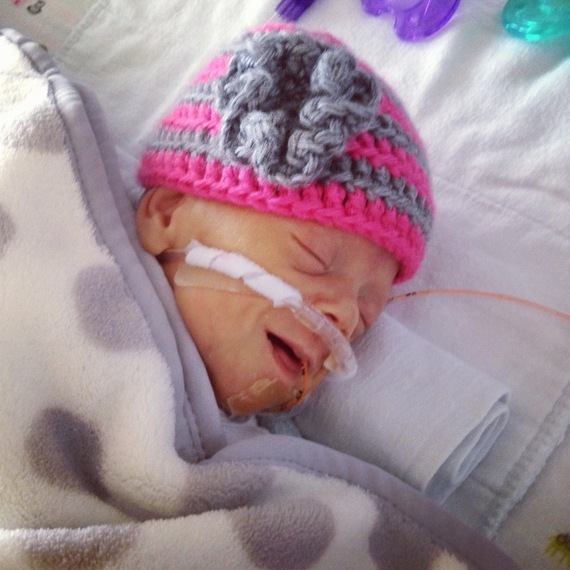 It's a difficult task for a baby who was born more than 17 weeks premature. I longed for the days when we would get past the preemie status, only to figure out that her status will never fully go away. I've cried many tears over the years - guilt over the fact that my body couldn't handle carrying my triplets, sadness over the deaths of two of my children, fear over what the future might hold for my survivor and happiness over the countless miracles that I've witnessed within my daughter. 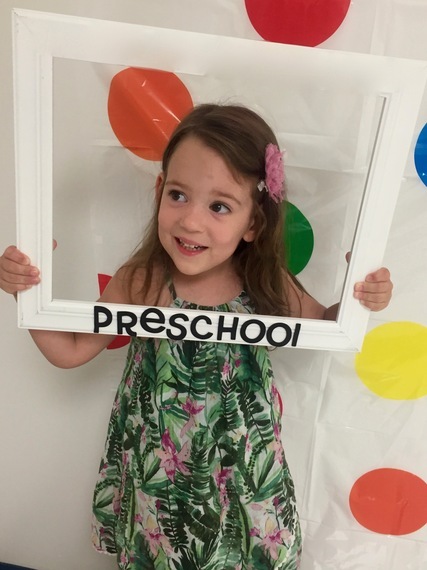 The hodgepodge of emotions came full circle in that meeting, making me realize that her preemie story is something I've actually embraced since the day she was born. It's not a bad thing that my child's premature history will always be part of the conversation. It's not a sign of weakness; instead, her premature status is a sign of strength. Her quirks and challenges are part of her story, a sign of the mountains she has climbed to conquer those obstacles. While it may not be visible on the outside, she will face a lifetime of unknowns. But, her preemie power will help her achieve everything she puts her mind to, doing it on her own timeline, in her own special way.